After the launch of Moroccanoil there have been a plethora of treatment oils for the hair launched onto the market, many following its lead by using Argan Oil. Hair giant L’Oréal Professionnel have been biding their time however, and only now are unveiling their own particular formula, which is refreshingly free of the latter. 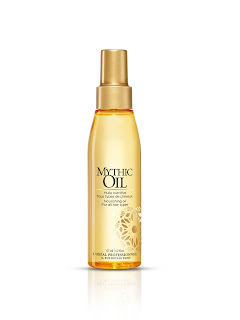 Called Mythic Oil, it is the brand’s first nourishing oil to treat, nourish and illuminate hair, promising to leave it smooth, supple and infused with condition and shine. Instead of Argan it is enriched with a blend of Avocado and Grape Seed oils – both known for their nourishing properties for many a year now. Super versatile, it can be used in multiple ways, depending on your hair type and your lifestyle. Use it as a blow-dry treatment by dispensing two to three pumps into the hands and massaging though the lengths and ends of towel dried hair before adding heat, or use one pump warmed gently between the hands on dry hair to control frizz and fly-aways. It’s also a great detangler for fine hair like mine that tends to knot at the slightest gust of wind. After using it for a while now I can also vouch for the fact that it leaves no greasy residue, and neither does it weigh hair down. 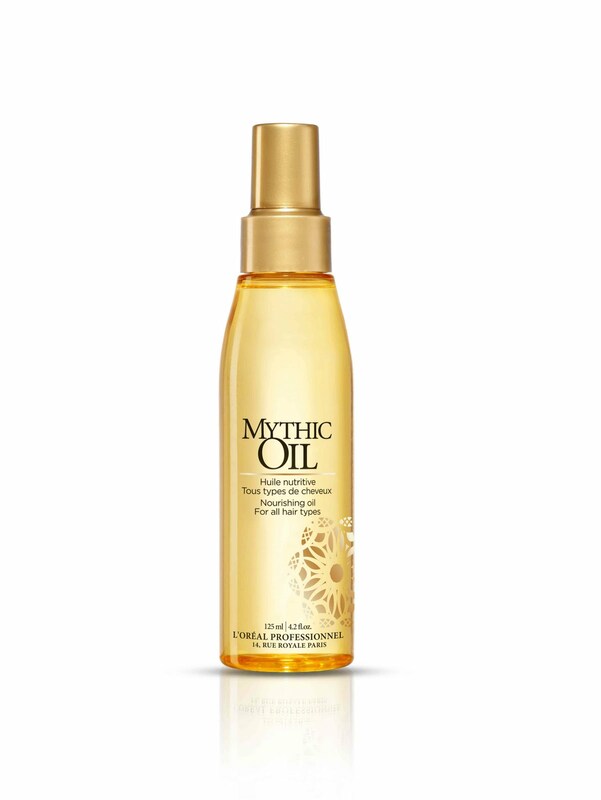 It can easily be mixed with other L’Oréal Professionnel products or used alone, and it works a treat on all hair types.